A weekend break by air, a self-drive itinerary for complete flexibility, a week on a beach or a longer tailor made holiday designed especially for you are all available .If you just want the event ticket or one of our excellent hospitality arrangements then our race ticket only service will cater for you. We also have many years experience organising motoring events for classic car and historic car racing enthusiasts. Well-planned routes on chosen roads, comfortable overnight hotels, lunches en route and relaxing evening dinners in good company result in lasting memories of wonderful driving holidays through some of the most scenic areas of Europe. The pages of our website are full of ideas to inspire you and you will find that our tours offer excellent value for money too. We know the routes, the circuits, the venues and the holiday destinations and can help you plan your ideal itinerary. Take a trip through our website and then join us on one or more of our holidays in 2012. 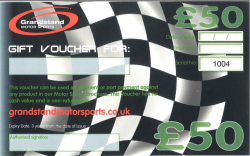 Whether you go back to your favourite circuit and hotel or you want to explore new venues - with Grandstand Motor Sports you will enjoy the very best racing experience.